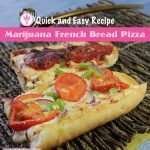 If you keep this easy to make medicated pizza sauce in your freezer, medicated munchies are always easy to make, whether you spread it on a pizza crust or use it in this easy French Bread version. 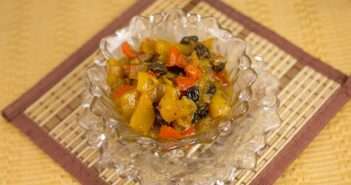 I use marijuana oil to medicate this recipe. My Making Marijuana Oil tutorial will help you learn how to make it. Sauce-less variation: Mix 1/2 teaspoon crushed garlic with 1 tablespoons canna-olive oil and 1-tablespoon regular olive oil. Brush bread with oil instead of sauce and proceed with remainder of the recipe. This recipe will have about 40 mg THC per serving IF you made your marijuana butter from average cannabis (10% THC) and used 1/2 ounce of marijuana to make 1 cup butter. To adjust the dosage for your personal needs and to reflect the strength of the marijuana you are cooking with and the amounts you used to make your oil, be sure to take my FREE 10 minute online Dosing Class that will teach you how to use my handy dosage calculator tool. 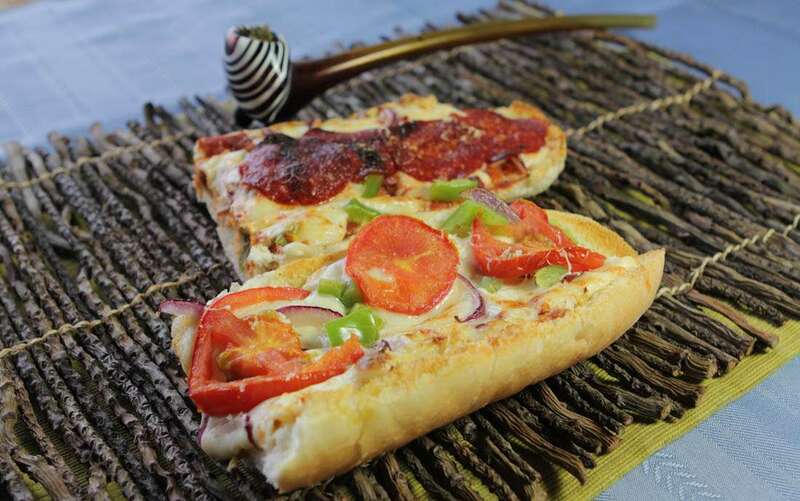 assorted pizza toppings of your choice: pepperoni sausage, bell pepper, onion, mushroom, etc. In a medium bowl, whisk together all sauce ingredients until well combined. Cut the bread loaf in half lengthwise. Spread the sauce over the cut sides of the bread. Spread the mozzarella in an even layer over the sauce and sprinkle with the Parmesan. Bake in a 400 degree F oven until cheese is melted and browning, about 10 minutes. Cut each piece in half and serve.